We are entering the most exciting era of the Canadian cannabis culture; there has never been a more important time to network and share our knowledge of this incredible plant. Last summer I had the pleasure of speaking at an awesome conference in Vancouver hosted by the Conscious Living Network, and I am very happy to announce it will be even bigger and better this year! With an incredible lineup of speakers and intriguing debate format, this conference should be the highlight of the summer for cannabis enthusiasts. Organizer Salimeh Tabrizi has once again gone out of her way to make sure this premier event will never be forgotten by those in attendance. She is a Registered Clinical Counsellor and her gentle spirit and keen intellect are reflected in the thoughtful details and colourful displays. Last year, the conference brought together speakers who shared their knowledge on the medicinal, historical, sacred and ceremonial use of the medicine as well as on governmental policy and public activism. The conference also honoured 10 conscious dispensaries and 11 other cannabis businesses keen to show their wares. It was an interesting mix of activists, businesspeople, and intellectuals. Having attended dozens of cannabis conventions, including many of my own, I would have to say that this was one of the most organized and well set-up events of this type in which I have ever been involved. This year, the 2016 Cannabis and Hemp Conference will also have Jay Martin and his wonderful team at Cambridge House International working on the event with Salimeh. It will be a much bigger scale event this year, with a two day conference on July 9th and 10th at the beautiful Westin Bayshore hotel in downtown Vancouver. Having so much more conference time to network and share stories will no doubt make this a rich experience. According to Salimeh, “The focus this year will be on deepening the dialogue on the medicinal benefits of cannabis, as well as the environmental and humanitarian re-evolution that is possible with the support of this magnificent plant. Never before has there been such a wealth of information and research on the practical, therapeutic and medicinal uses of Cannabis, as well as a growing understanding and acceptance of Cannabis on the part of the general public. ” With so much to cover, it will take 2 days to allow people to take advantage of all of the knowledge that will be shared. 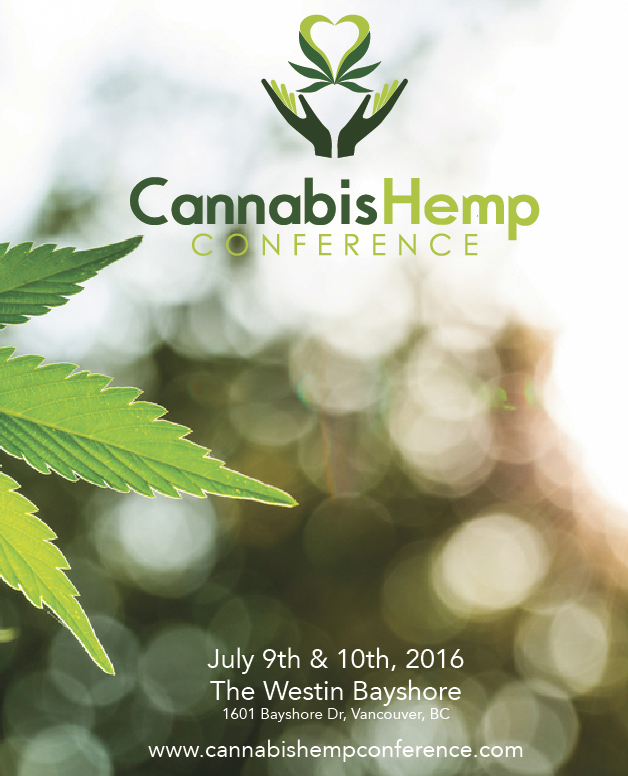 Several of the keynote speakers have been instrumental in the developments that have lead towards legalization. For many the most interesting speaker will no doubt be Dr. Lumir Hanus, the ground-breaking scientist who helped lead the discovery of the Endocannabinoid System (ECS). While there is a great deal more to discover about the ECS, what we know so far about the interactions between cannabis and the human body has astounded the medical profession and activists alike. It will be fascinating to learn more about how the ECS was discovered and what Dr Hanus and his team have learned since. 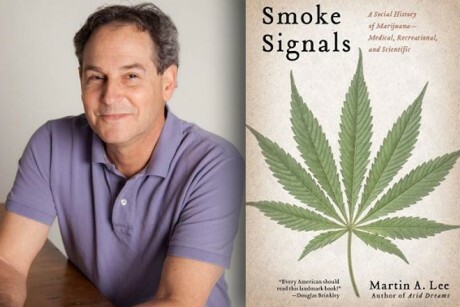 Also speaking will be internationally-acclaimed author Martin A. Lee; he will be speaking on the CBD panel. With his book, Smoke Signals, in hand, Mr. Lee will share his wealth of experience with the cannabis plant from around the world. The conference is also very pleased to be joined by Dr. Paul Hornby. A world recognized expert and scientist who has profiled over 15,000 different strains using HPLC technology, Dr Hornby has been a pioneer in the development of cannabis medicines in Vancouver. We have had the pleasure of hosting him in Victoria at several lectures and conventions where he has taught us the secrets of decarboxylation and extracting cannabinoids and terpenes from the plant. Historian Chris Bennett will be in attendance again this year, as he is truly the world’s leading authority on the historical uses of cannabis. With three books about the history of cannabis, the latest being Cannabis and the Soma Solution, Chris contains a library of material in his head, and can quickly fill your head with colourful imagery of past cannabis fields. He has also appeared at many Hempology 101 conferences in the past, as I consider him the equivalent of Charles Darwin. In total there will be 12 panel discussions, covering a broad range of subjects. Participants can expect to hear about the medicinal uses of cannabis, including information about CBD , genetics and cultivation techniques, and why doctors have increasingly embraced medical cannabis as a powerful plant in treating such potentially devastating diseases as cancer and epilepsy. There will be a debate about the roles that dispensaries and Licensed Producers will play in the new legal scheme. There will also be conversations about various models of legalization either real, as in places like the US, or hypothetical. Other topics to be considered are how Cannabis can be de-stigmatized in the mainstream medical community, and how we can implement a public health approach to cannabis legalization. Other speakers will look into the the ways in which hemp is used for nutrition, fuel, textiles, and building materials. With so many potential uses of hemp, more farmers are interested in growing it, especially since educated consumers are buying more hemp products every year. The growing techniques of potent cannabis operations will also be on the agenda, as everyone wants to see sustainable environmental practices balanced with healthy products. A panel will be organized for experts to share their understanding of the sacred aspects of cannabis use, both historical and current, including ancient religious practices and ceremonies that have survived Christianity and time itself. The cannabis lifestyle will be analyzed and dissected for all to see and hear. No cannabis stone will be left untouched by the end of this weekend of all-star activists. Seriously, the list of people already confirmed is top-notch and others are still possibly coming. This includes the fantastic lawyer Kirk Tousaw, who represented Owen Smith in his huge victory at the Supreme Court of Canada last year and worked with John Conroy on the recently successful Allard decision which protected patient gardens. Then there will be Marc and Jodie Emery, who need no introduction to anyone reading this paper. Legend Dana Larson will also be on hand to bring everyone up-to-date on his campaigns, with his new book, Cannabis in Canada The Illustrated History in hand. Hemp specialist Andrea Hermann will be here from the prairies ready to share her almost 2 decades of experience in the hemp field. Plus, past president of the Canadian Association of Medical Cannabis Dispensaries, Jamie Shaw will be there, along with Dieter MacPherson (Victoria Cannabis Buyers Club) and Dori Dempster (Vancouver Medical Cannabis Dispensary) to keep everyone up-to-date on the changing situation with storefront cannabis operations on the west coast. Author Stephen Gray, who is currently writing his highly anticipated book, Cannabis and Spirituality: An Explorer’s Guide to the Revival of an Ancient Ally, to be published this winter by Inner Traditions/Park Street Press, will be present. Stephen is also the co-organizer of the Spirit Plant Medicine Conference, which has been held at the University of British Columbia for the past five years. He will be joined by Mark Haden, who is the Chair of the Board of MAPS Canada (Multidisciplinary Association for Psychedelic Studies). He has published on the issue of drug control policy in the following Journals: Canadian Journal of Public Health, International Journal of Drug Policy, Encyclopaedia of Public Health, Harm Reduction Journal, and Open Medicine. Mark has worked for the addiction services for 28 years and currently works with the Health Officers Council of British on their position papers on the issue of a regulated market for all currently illegal drugs. Zach Walsh and M-J Milloy will be also be ready with lots of current information from studies being done at UBC and around the world. Other esteemed speakers include Josh Rettie (Plant Builder), Symentha Heartt (Hemp Queen), Natasha Ryz (Cannabis and the Gut) and Jon Page (Cannabis Genetics). More details about the speakers, entertainment and other guests will be made available as they are confirmed. With such an incredible collection of academics, activists and entrepreneurs this conference will no doubt be the premier cannabis event in Vancouver. Anyone seriously interested in getting involved in this industry should be in attendance; for those already employed in the fastest growing sector in the economy, it’s a must. Never before has such a large, powerful group of cannabis fighters gathered together under one roof for two days to hash out the future of the mighty herb.